As a result of the massive snowstorm that hit the Buffalo area this week, tomorrow night’s Rangers-Sabres game has been postponed in order to protect the players and fans. The makeup date for the game will be announced at a later date. The Sabres did play their last game on Tuesday against the Sharks. Despite the piles of snow, over 6000 fans managed to make their way to the First Niagara Center to watch the Sabres cruise to a 4-1 victory. It was also recently announced the Jets-Bills game, which was scheduled to be played in Buffalo, will be relocated for this weekend. 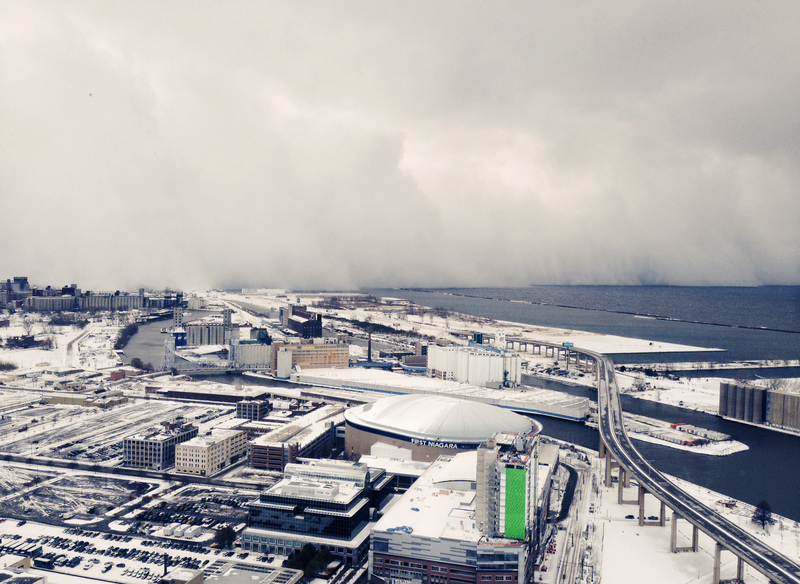 Buffalo has already been hit with over 5 feet of snow, and an additional 3 feet of snow is expected to fall tonight and on Friday. Pictures have been circulating around the internet of people buried inside their homes, and massive snow walls approaching the area. Clearly, the snow has made travel by all methods extremely difficult, and it would be difficult for members of the Sabres and Rangers to get to the game, let alone get out of Buffalo afterwards. 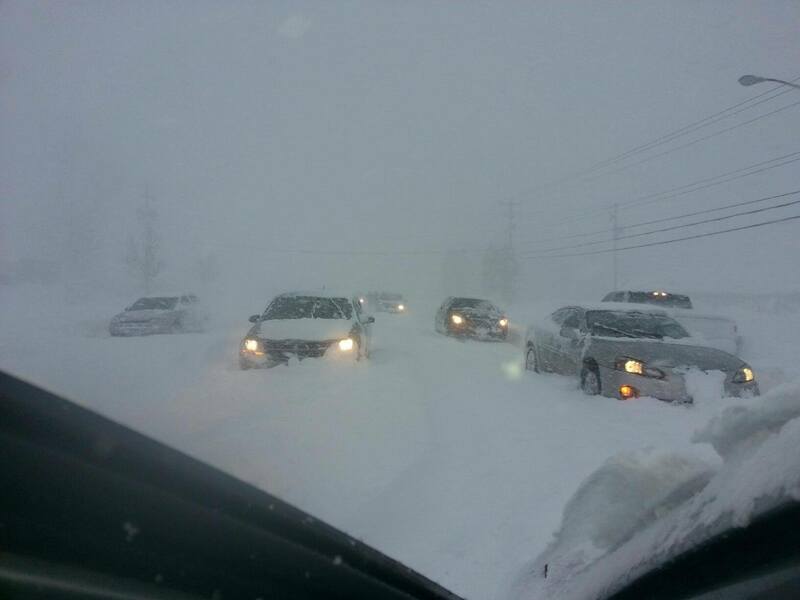 The snowstorm in Buffalo has made travel nearly impossible, with cars being trapped on highways in over 5 feet of snow. The storm has already caused 7 deaths, including one case where a man was buried in his car under a foot of snow. The NHL made the right call by cancelling the game. It will protect the players, the fans, and allow for a makeup game to be played at a later date in front of a packed crowd. The snowstorm was formed as a result of the nearby river, sending a massive snow wall over the area. The Sabres home arena, the First Niagara Center, is pictured. The Rangers next game will be this Sunday against the Montreal Canadiens at Madison Square Garden. The Rangers were defeated in Montreal by a score of 3-1 when they played them back in October. Posted on November 20, 2014, in Rangers Updates and tagged 2014, Buffalo, Buffalo Sabres, Buffalo Snowstorm, New York Rangers, NY Rangers, NYR, NYRangers, postponed, Rangers, Sabres, snow, snowstorm, storm. Bookmark the permalink. Leave a comment.